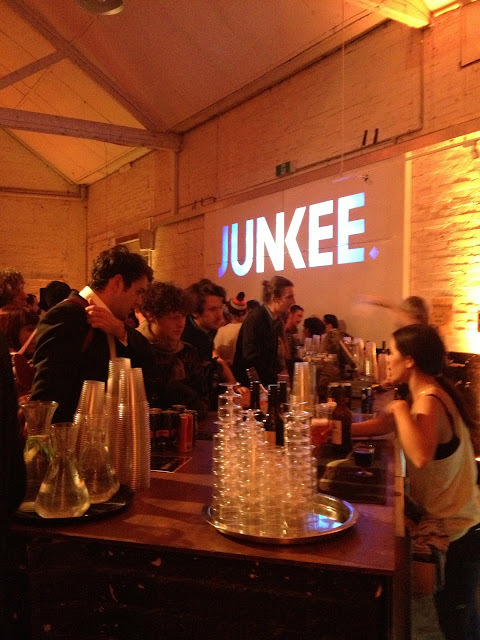 When I received and email inviting me to the JUNKEE launch party I wasn't quite sure what to think. Had my email been mysteriously hacked by a drug mule? Or perhaps someone had confused me with their friendly neighborhood rubbish collector? Given the somewhat shady-sounding nature of the event, I wasn't surprised when we were directed down a suspicious looking lane way upon arrival. I was however, (happily) surprised when I turned the corner and was greeting by a massive warehouse party. Awesome. If there's one thing the JUNKEE crew have learnt from pop-culture, it's how to throw a killer party. Located in the rear warehouse of Thousand Pound Bend on Little Lonsdale street, this launch was most definitely a spectacle. I felt like some VIP walking up the red carpet, to be accepted into a giant cavernous space complete with DJ, Photo Booth and yes, an open bar. Free flowing Miller's beer and Rekorderlig kept the hoards of hipsters adequately quenched so they could continue their discussions about favourite existential philosophers and how they're boycotting Luhrmann's Great Gatsby because "it will ruin Fitzgerald's vision". 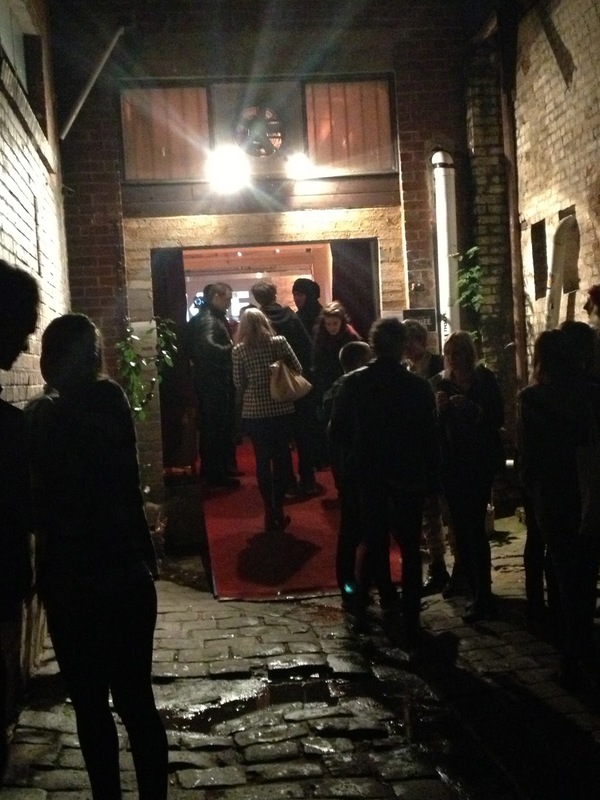 Ahh hipsters...where would unknown warehouse launch parties held by pop-culture websites be without you? The space was buzzing, kept alive by cool beats and the entertainment of the photo booth complete with giant cut out celebrities. Ever seen a crowd surfing cardboard Kim Kardashian? No? Then you clearly weren't at the JUNKEE launch party. If you did miss out, don't freak. Just jump online to catch up with what's going on, whether you're interested in culture, politics or just want a bit of a chuckle. Given how cool the party was I think i'm going to be much more forthcoming when I receive surreptitious emails from now on...even if they are sent by drug mules.